EMMANDUS INSPIRATIONAL NETWORK! : TAKING THE LEAP OF FAITH; A 30 - DAY CHALLENGE ! 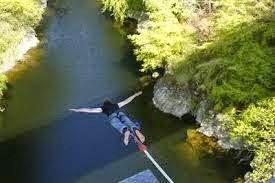 TAKING THE LEAP OF FAITH; A 30 - DAY CHALLENGE ! My heart pants.I feel like a man on a bungee jump.It is the beginning of a 30 day challenge. I am giving myself to consistent blogging and writing for the next 30 days. I have done successful 7- day challenges and I believe I can do this and go on to a 30 day challenge. I will be so happy to do a 30-day post! Wow! That would have changed me! Yes! It takes a lot of discipline, mind control and...Whatever, to maintain a connection and churn out something of value for the 30 days! 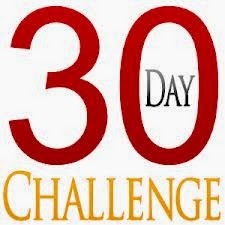 So i initially was making out for a 14-day challenge but today I will take a leap of faith and blog for 30 days. Uncharted courses. I will write from my heart more than from my head. I will reach deep within for the rich deposit of inspiration God has placed here in, I will take the light and go down into the cave of learning and discovery and find the treasures that lie fallow. This will mean serving my gift and my assignment. What more will I blog about...? I will write from something to anything. I will write on "whatever is true, whatever is noble, whatever is right, whatever is pure, whatever is lovely, whatever is admirable.."
I will blog on anything that informs and inspires lives to greatness. I will write, teach, share and blog daily within the next 30 days. Join me on this ride on a 30-day inspirational journey from August 12- September10th 2014. I am excited at the very thought of it, and I hope with you my esteemed readers I hope to achieve this feat. I will appreciate your thoughts and suggestions on this.